The Sydney Jewish Museum was established and funded by John Saunders in 1992. He continued to fully fund the museum costs until 1999, when it was handed over to the Jewish community. Since then, and still today, the museum runs at a deficit, and relies heavily on community support in order to keep its doors open and to get its message into the Australian community. The Holocaust was not only a Jewish tragedy, but also a human tragedy. Not only is it important to keep the stories of the Holocaust alive out of respect for Holocaust victims and survivors, but the lessons of the Holocaust are a reminder to everyone to be better people in a better world. 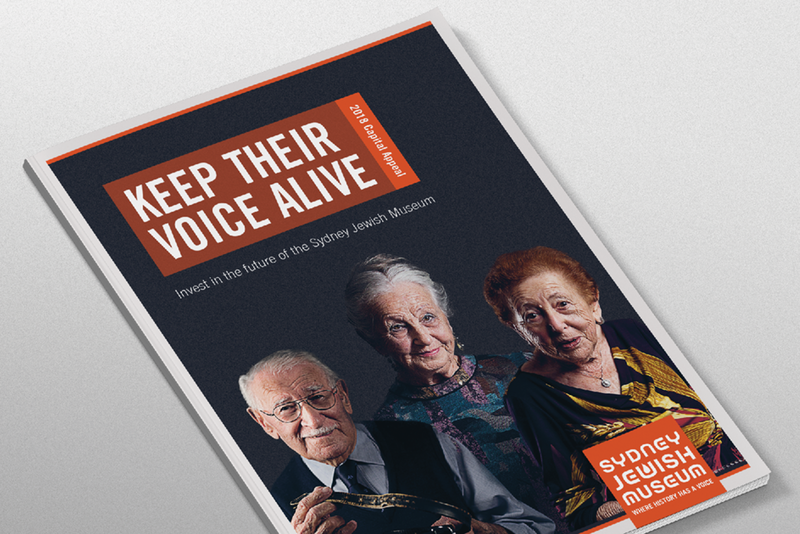 To raise $8m from the Sydney Jewish community over a three-week campaign period in October 2018. 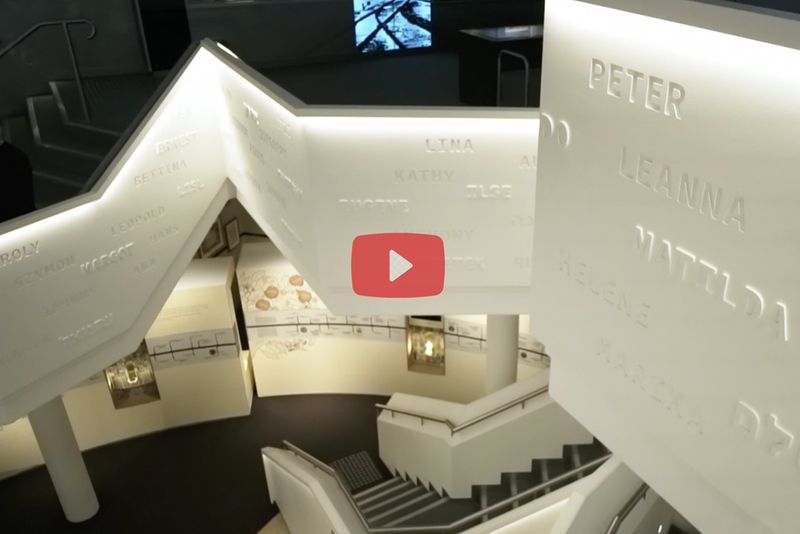 – To create Jewish community awareness of the Sydney Jewish Museum as having a need for more funds so it can be self-sustaining into the future. 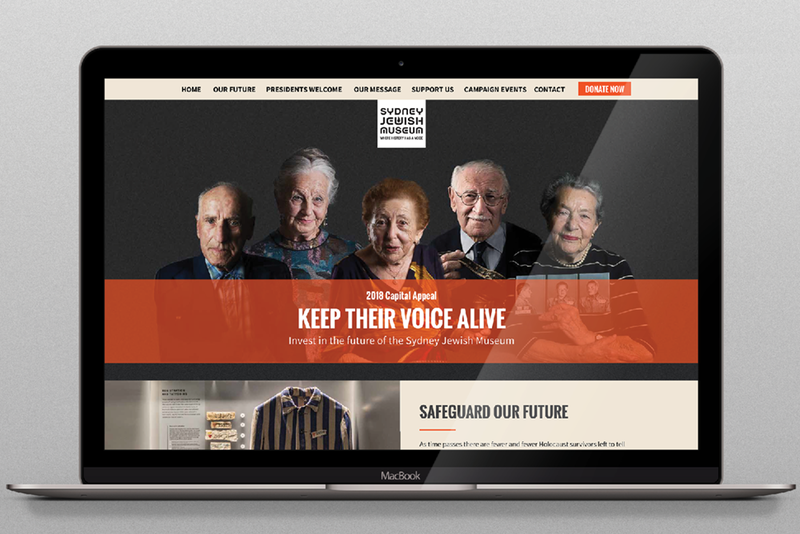 – To create active Jewish community involvement with the Sydney Jewish Museum by generating enquiries and driving visitations to the museum. – To convert enquiries and visits into pledges. We avoided messaging that employed shock tactics and guilt tripping. It’s a cheap way to get attention and doesn’t speak to and tap into people’s true motivations and reasons for donating. Jewish people will donate because they want to donate, and they will want to donate because we have touched, moved and inspired them. 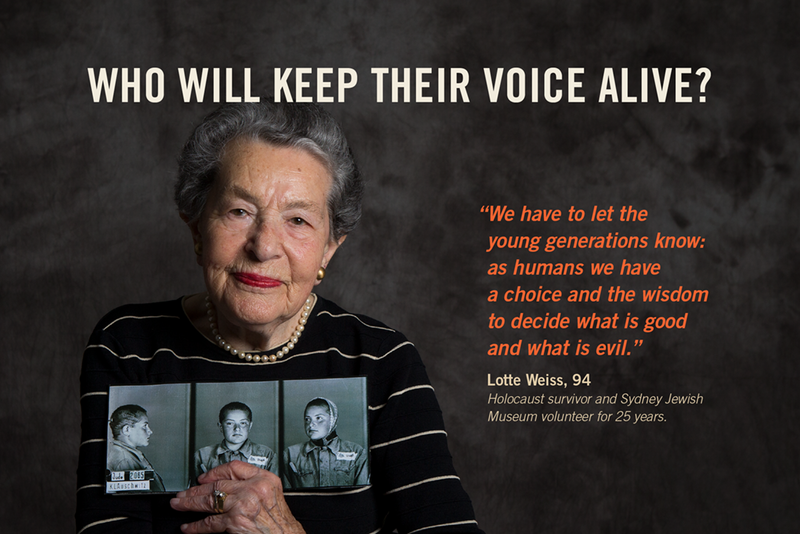 We used some of the last few surviving Holocaust survivors as the backbone of the campaign, since we knew that, out of everything in the museum, an encounter with a Holocaust survivor has the most impact on museum visitors. 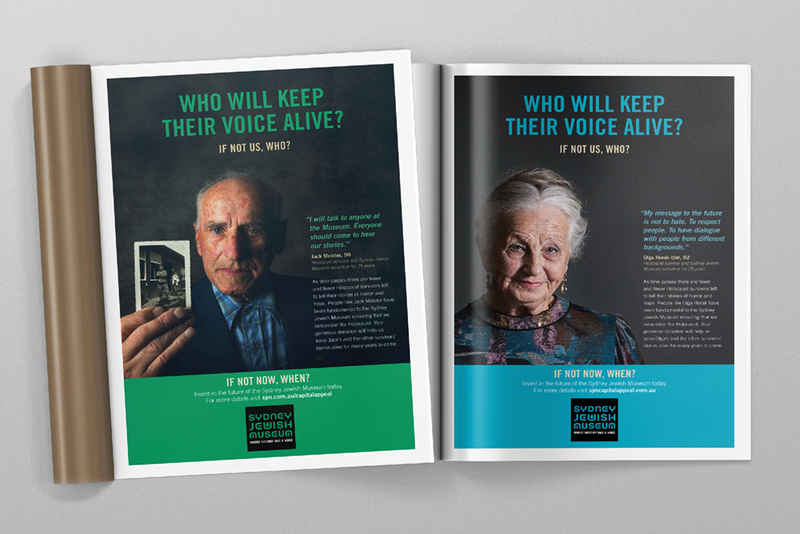 We used their voices and their stories to drive awareness, involvement, and conversion. We made a strong appeal to the Jewish community that they, and they alone, are the guardians of the memory of the Holocaust, and that it rests on their shoulders to keeping the voices, stories and lessons of the Holocaust alive forever. Our call-to-action was “invest in the future”. People want to know where their money, goes, how it’s managed, and what outcomes are achieved. In other words, we were asking people to invest IN the museum, not donate TO the museum. The $8million target was easily exceeded and the campaign raised over $12million.